1. To increase the awareness of human rights education commitments within civil society, governments, treaty bodies and other stakeholders. 2. 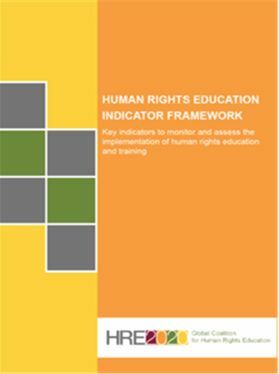 To strengthen human rights education commitments and mainstream the monitoring and reporting of such commitments into international human rights mechanisms. 3. To build a civil society coalition which supports and strengthens the capacity of civil society to use international human rights mechanisms, instruments, standards and policies to hold governments accountable for their human rights education commitments. 4. To strengthen the capacity of governments and treaty bodies to understand and assess government commitments to implement human rights education. 1. A global coalition of civil society organisations with increased awareness of human rights education commitments and knowledge of effective human rights education programmes. 3. Civil society organisations have strengthened capacity to use international human rights mechanisms, instruments and policies to hold national governments to account for their human rights education commitments. 4. Human rights education is integrated in schools, educational institutions, national curricula, and the trainings of professionals - leading to the empowerment of citizens to claim their rights.